I have to admit that when I saw that Lisa Moore’s new book was written for young readers, I was disappointed. But, there was no need. I was sucked into this book from page one; Lisa Moore has a way with words and characters that still surprises me. Young and old readers alike will fall in love with this book, and in love with Flannery herself, even without the aid of one of Flannery’s love potions. Who knew I would so love reading about a 16-year-old girl? She lives in St. John’s Newfoundland. She’s in grade 12, and is working on a project for her Entrepreneurial class; the creation of love potions. She has never known her father. He sailed in one day on a boat made out of garbage. Then he sailed out again. She calls her mother Miranda. Miranda has a parenting blog and wears a tiara that she calls her ‘thinking cap’. She buys her son a drone but doesn’t have enough money to pay the bills. She has many quirks, but she’s a good mother. Evil was something Miranda had made sure, up until then, I knew nothing about. Miranda had lots of boyfriends, but every one of them was kind to me. Every one of them offered to cut my steak, or they carried me on their shoulders. Every one of them was the kind of guy that daubed blue icing on the end of my nose if we had a birthday cake from Sobeys, which you could get cheap if it had somebody else’s name on it written in icing and it hadn’t been picked up or if it was three days old. We’ve had cakes that said Happy Birthday Declan or Raoul or Jasprit, or Keira or Fiona or Sally or Molly. She has a 6-year-old brother named Felix. It’s pretty hard to look Felix Malone in the eye and deny him anything. His little pointy chin reaching up to rest on the edge of the counter. He widens those big blue eyes and out pours all his burning hope. She’s in love with Tyrone, a graffiti artist, who she has known since birth, but who is becoming increasingly absent and aloof. Not believing in something requires a lot of effort. It is easier to believe. Once I have accepted that something is true, I have a hard time losing faith in it. I believed in Tyrone and I will always believe in him. I mean that there is something in him, something that I can’t even say or put into words that makes me love him and it’s so scary, loving someone. It’s a big, out-of-control, jumping-jack love that makes me crazy and lonely. Her best friend is a competitive swimmer named Amber. They have never not been friends. Until this year when Amber becomes infatuated with sleazy Gary. Now she won’t answer her texts. What a weird word it is. Gary. When you hear it over and over. There’s only one word worse than Gary. And that word is we. Since when did Amber become we, I want to ask her. I used to be half of we, I’d like to tell her. I hardly knew what she meant, when I first heard her say it. We have to study for biology. We think what’s going on in the Middle East right now is scary. We both got 89 on that quiz. We think it’s dangerous for girls to drink because they’re vulnerable. We think that when girls get drunk, like, what do they expect? We think sexual assault is not okay, obviously, but, like Gary says, we think you have to take care of yourself. You can’t just go passing out all over the place. Like, who goes down to George Street dressed like that? Like, let’s not get all victimy here. She has a talent for expressing herself (which she probably gets from her creator). I was flabbergasted. That’s the word. It’s a word that shows up in the old yellowed Agatha Christie novels you find at your friends’ summer cabins. There are British people in those novels with big green lawns and rock walls and there are little old ladies who murder people with arsenic or by stabbing their straight through the forehead with an ice pick, and portly butlers with double chins and cooks with bright red faces and rectors, whatever they are. Those are the kinds of people who get flabbergasted. The writing. Obviously, the writing. It’s refreshing. Most people’s lives have some good things going along with the bad. This book is not all anxiety and depression, bad parenting (unique parenting might be a good way to describe Miranda’s style) and substance abuse – it feels a lot more like the world I grew up in than some other YA books I have read. It’s set up like a fairy tale, but may surprise you. Even the book description sounds like a predictable romantic comedy, but is really not. The characters. All of them. 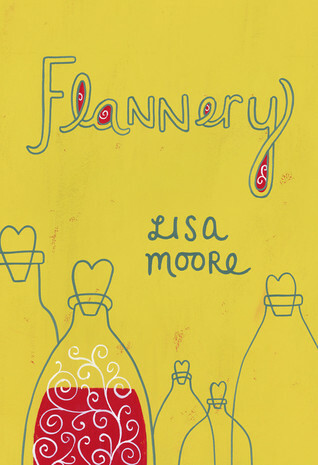 I especially love Flannery’s small family – they are quirky and lovable, and oh so imperfect. They serve as a reminder that loving families come in all shapes and sizes and personalities. The message. This is not an obvious message – children reading the book may not even notice it. But as a mother of 3, I fully appreciate and am grateful for it: Life does not always go the way you want it to, we all make mistakes, everyone is different, you are not a princess, this is not a fairy tale, you have the power to make your own life good and meaningful; don’t wait around for someone else to do it for you. Review of Flannery at The National Post. A while ago, I read and loved Eric Walters’ Safe As Houses. When I was re-organizing my kids’ book shelves, I found this one, and decided to read it. 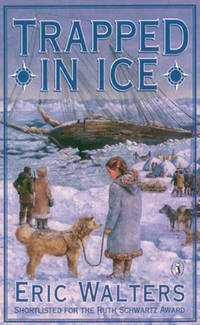 Trapped In Ice is children’s historical fiction at it’s best; I hadn’t heard of this event before reading the book. Trapped In Ice is based on the true story of the ill-fated Canadian Arctic Exploration of 1913. What could be better? Shipwreck, the Arctic, ice, and polar bears. The story is told through the eyes of young Helen; on board ship as the daughter of the seamstress. The Captain had warned them right away that it was no place for children, but their mother was determined to have them with her. Michael is filled with wonder at everything, while Helen is often fearful. She finds many chances, though, to show her bravery throughout the pages of this book; she experiences the sinking of the ship, hypothermia, a run-in with a polar bear, and a long journey over the ice before the spring thaw (when the ice would melt away causing the whole expedition to sink below the surface of the sea). I tried my best to fall asleep but I couldn’t shut off the sound of the ice. Popping, groaning, banging, grinding, and smashing. Sometimes it sounded like voices calling out, or a baby crying or animals growling. We were frozen solid, but there was nothing solid about the water underneath the ice. The ‘Karluk’ is captained by Captain Robert Bartlett, a Newfoundland-born Arctic explorer. He’s gruff, blunt, and knows how to get things done. If I’m ever lost in the Arctic, I would want to have him along. I was always struck by how big the Arctic was, how it could just swallow somebody up and make them vanish. It’s a middle-grade kids’ book, so you may be able to guess how it ends, but the fun is in the journey. The book is suspenseful and filled with obstacles to overcome all along the way. Another highly recommended Eric Walters book. I’ve read a few books by Lisa Moore and loved two of them (February and Caught). I had no idea she had a YA book out. It sounds really fun! I’ve been trying to increase my YA tolerance, and this is one I think I would definitely read. If you’re hesitant about YA, this is a good one to read. And if you love YA, this is a good one to read. And if you don’t ever read YA, this is a good one to read. You had me at “tiara as a thinking cap!” Flannery sounds really good! And yay for middle grade historical fiction! I found it hard to describe just how perfectly imperfect Flannery’s family is – they are a delight! And, yes, I wouldn’t know nearly as much about history if not for middle-grade historical fiction! Flannery sounds good. I agree about the message of the book. You have to make your own fairytale!! I am always drawn to survival/adventure/historical fiction – both for adults and children. Throw in some snow and ice and the sea, and I’m really hooked! She’s the right age! (Although, I have to admit that after I read this, I tried to get any of my children to read it, but they all rolled their eyes at me. I shouldn’t have been so enthusiastic, I guess. Should have pretended to hate it maybe? I guess I’m kind of over YA literature. If it wasn’t so popular, I wouldn’t have a problem with reading it occasionally, but it’s honestly hard to tell the good stuff from the dreck when everyone raves about all of it. I am not a Hunger Games or Twilight fan. I read one of each, and one was enough. Everyone once in a while I read one that is outstanding, though. Both sound great. I think Eric Walters doesn’t get enough love – he has some amazing books out, and children can learn so much from them, while getting a great story. I agree. I wonder if some of the covers need a new look? My kids looked at it (after I told them they would like it), and weren’t interested. Was it me, or the cover? Probably a bit of both! Yes please on Flannery. I wonder if her mother’s name is a tip of the hat to The Tempest? Awwww, Flannery sounds wonderful! I love the excerpts you’ve quoted, and it sounds like the author does a wonderful job of getting at the problems and concerns of kids this age, without minimizing them. She did a good job of getting inside the heads of young people. I’m sure it helps that she has a few of her own!